Oh why, oh why, must Christmas come but once a year? We believe that the Spirit of Christmas lives on 365 days a year. The wonder and joy of God with us in the birth of Jesus Christ is something to celebrate all year long, not just in December. 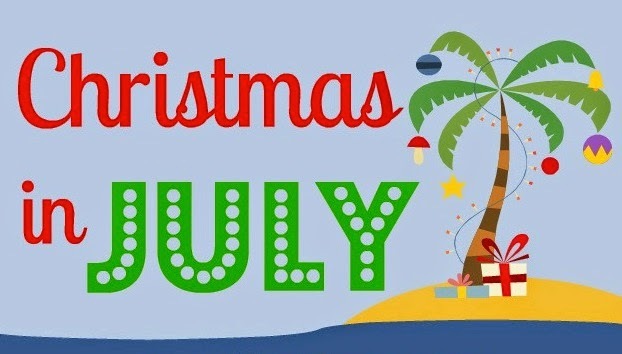 In honor of that spirit, on Sunday, July 20th, we will be celebrating "Christmas in July." Our worship team is hard at work planning this special service. And of course, Christmas is a time for giving. So, in the spirit of giving, it is important to always remember those in need. While we celebrate the generosity of the Holidays, we must remember that the need to feed the hungry is with us all year long. Each week we collect canned goods and other non-perishable food items to give to our friends at the Amador Street Hope Center to help feed those in need, and this week in particular we want to emphasize this important mission of our church. So, come and celebrate Christmas in July. It promises to be a very special and uplifting day.